Trigger first appeared in the film, The Adventures of Robin Hood in 1938 starring Errol Flynn and Olivia de Havilland under the name, Golden Cloud. He was Miss de Havilland's horse in the film. 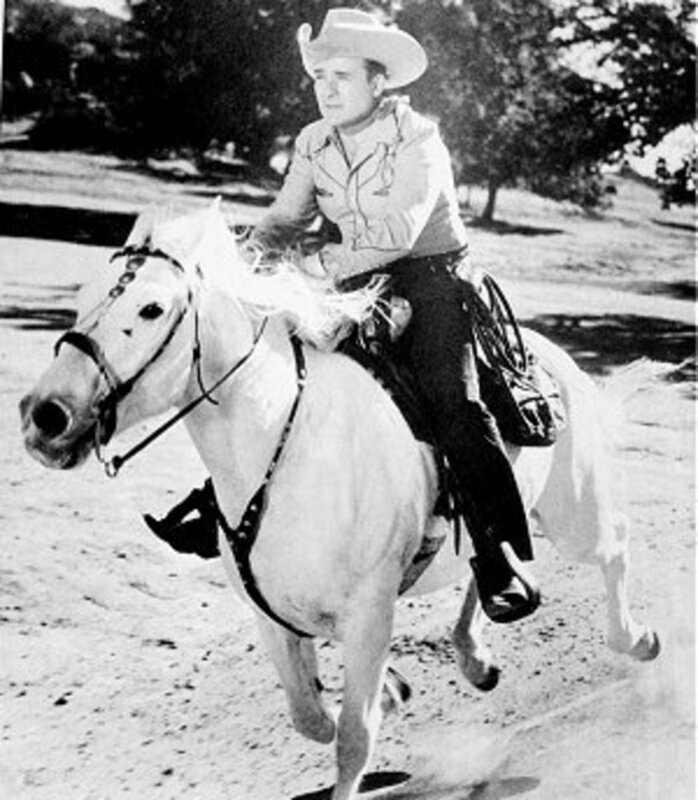 Roy Rogers bought the Palomino stallion and renamed him Trigger. Trigger was never bred as many think. Therefore, Trigger, Jr. was not his descendant. 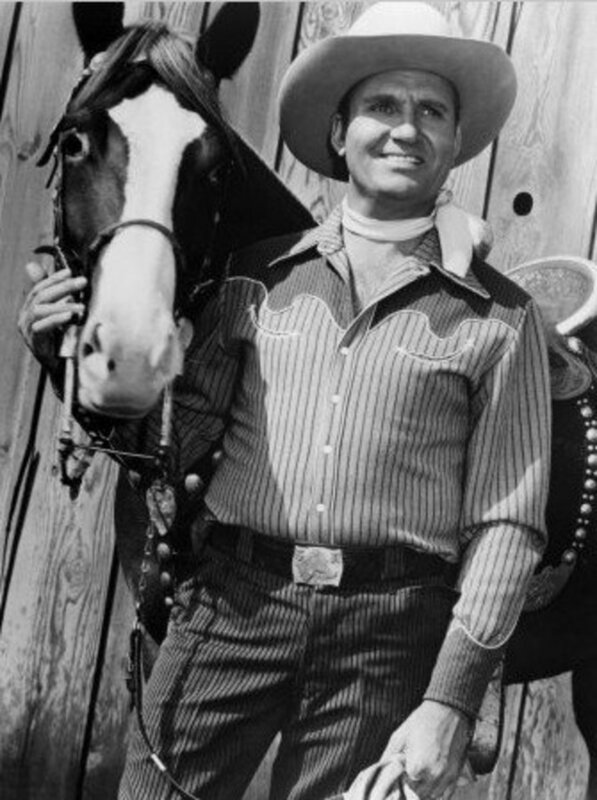 Roy rode Trigger in many of his films and in his television series. He is the most famous horse in film history. 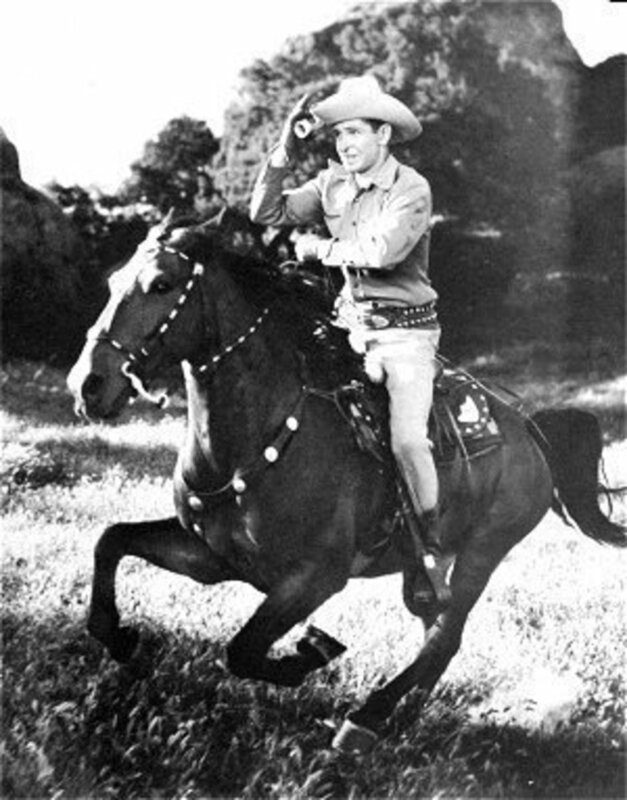 Silver made 73 films from 1922 until 1942 and was Buck Jones' horse in approximately 50 of those films. Black Jack was originally called Thunder and was ridden by Will Bill Elliott when Elliott was making films as Red Ryder. 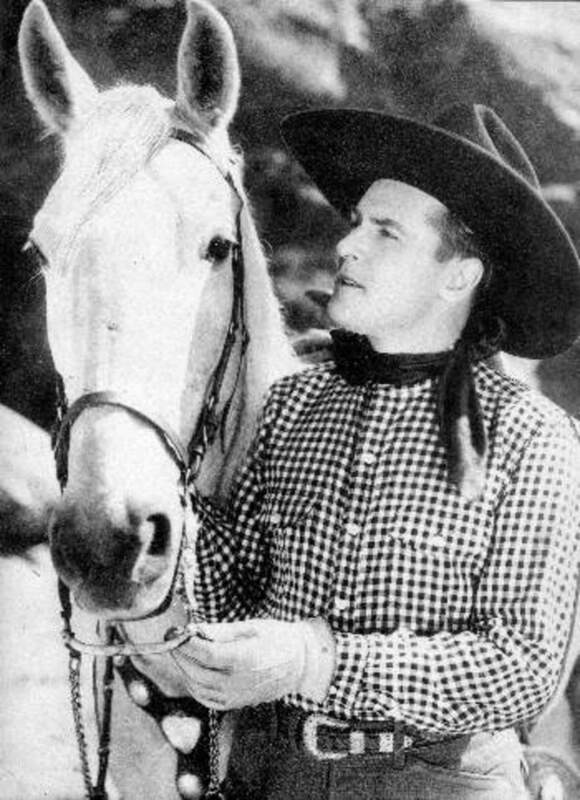 Lane would take over the part played by Elliott with the same horse. 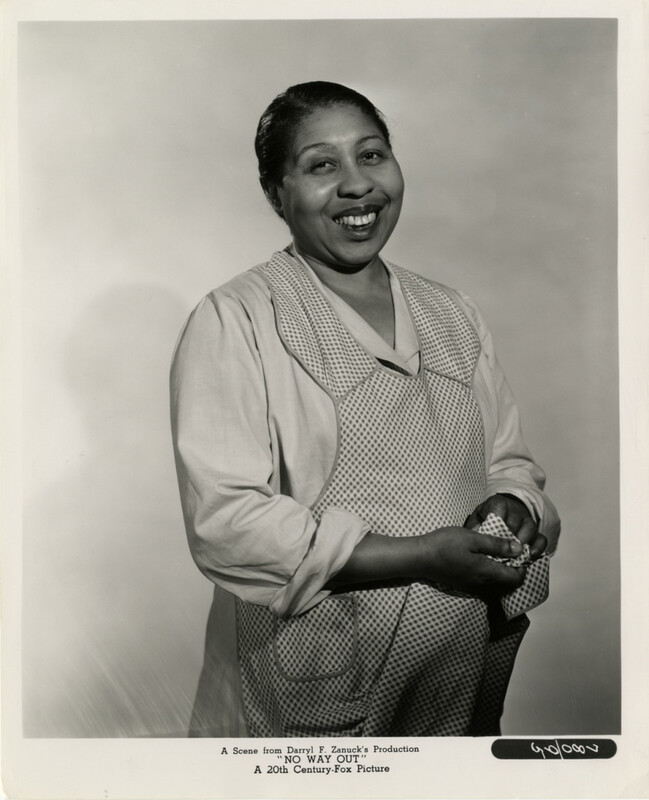 Buttermilk lived from 1941 until 1972. 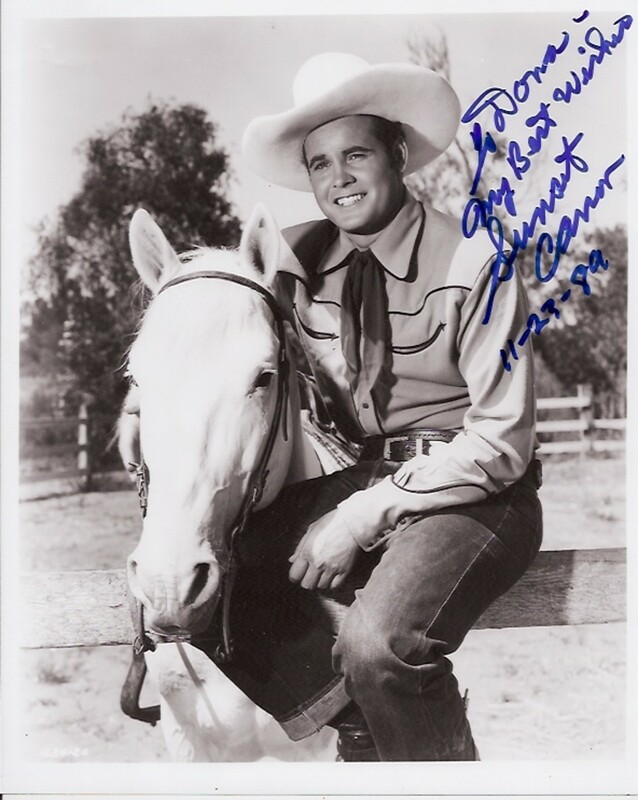 He was a buckskin quarter horse and appeared with Dale in many of her films and throughout her television series. Champion appeared in over 70 films with Gene from 1935 until 1953 as well as Gene's television series. Champion had his own television series following Gene's titled, The Adventures of Champion in 1955. Koko performed in over 30 films as Allen's horse and Rex took him with him to his ranch when he retired. 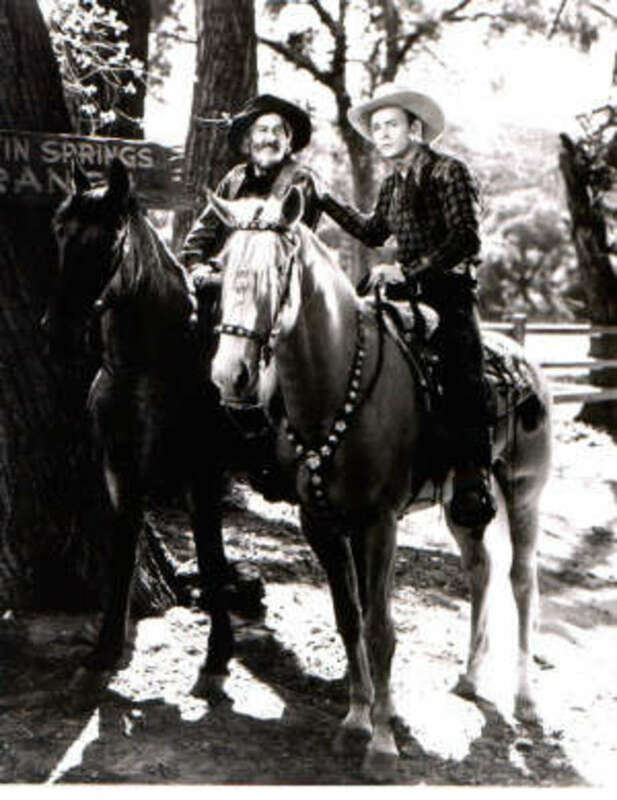 Smiley made over 62 films with Gene Autry. He left Gene to make 56 films with the Durango Kid and came back for Autry's final six films. 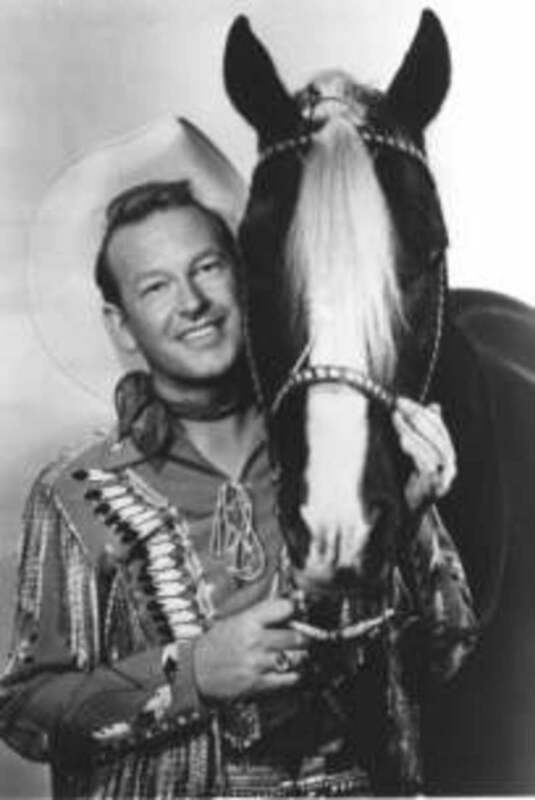 He also spent time with Roy Rogers and Sunset Carson. His horse through all this went through three name changes; Black-eyed Nellie, Ring-eyed Nellie and finally just Ring Eye. Tony made his debut with Tom Mix in 1917 and they would make 181 films together. Tony did his own tricks and was referred to as, The Wonder Horse. 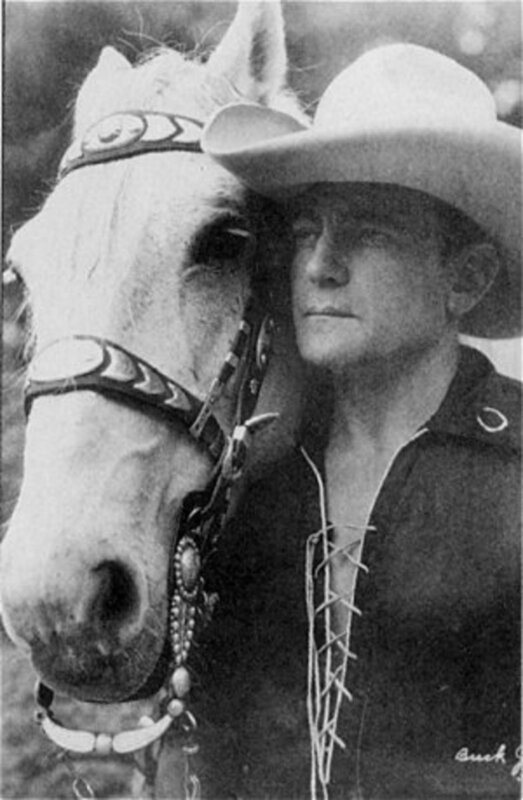 Cactus was actually Buck Jones' horse, Silver. Jones died in a tragic fire and Carson decided to change the name from Silver to Cactus. When dressed in disguise as the Durango Kid, he rode a white horse named Raider. When out of disguise as Charles Starrett his brown horse was Bullet. There were two horses playing Raider. One was the real Raider; the other was backup, El Granito. 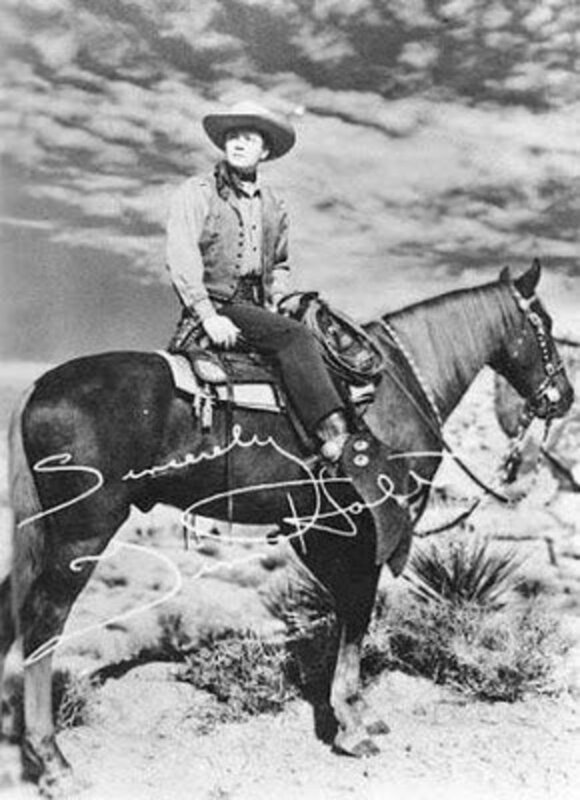 Whip's horse, Silver Bullet was later shortened to Bullet and then changed to Rocket because Roy Rogers had a dog in his films named Bullet. Gabby didn't even learn to ride until age 40. 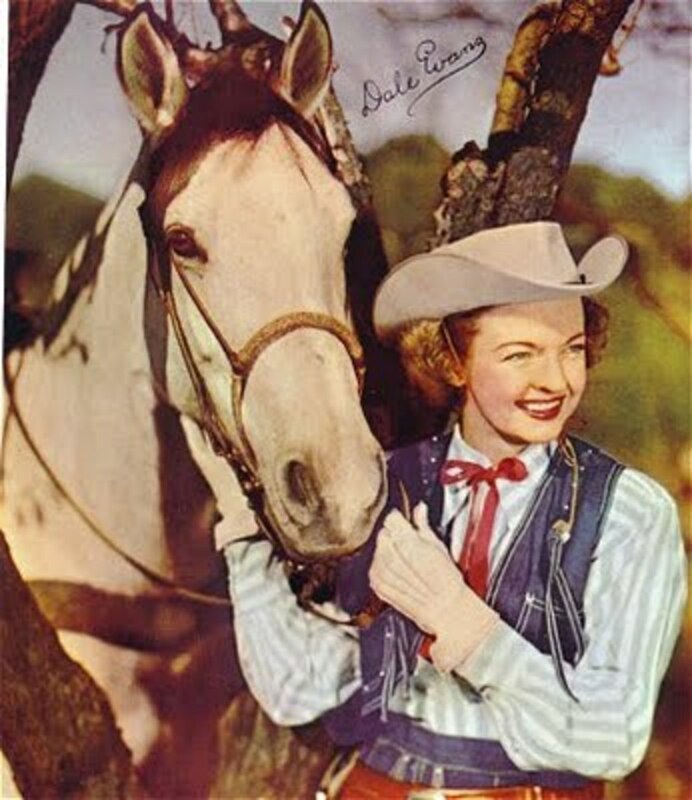 In his films, he rode three horses including Calico pictured here, Eddie and Blossom. I never could find a photo of Andy on a horse in his western films and to tell you the truth, I don't remember ever seeing him on horseback in any of the films that I watched. There were as many as 4 backups for the real Tarzan who was a trick horse and called Wonder Horse by Ken. Tim rode Duke prior to his entering the military. When he returned to pictures, he rode Shiek, Lightning, Steel and Sundance. The horses pictured here are Duke and below, Steel. What was Randolp Scott’s horse’s name and breed? 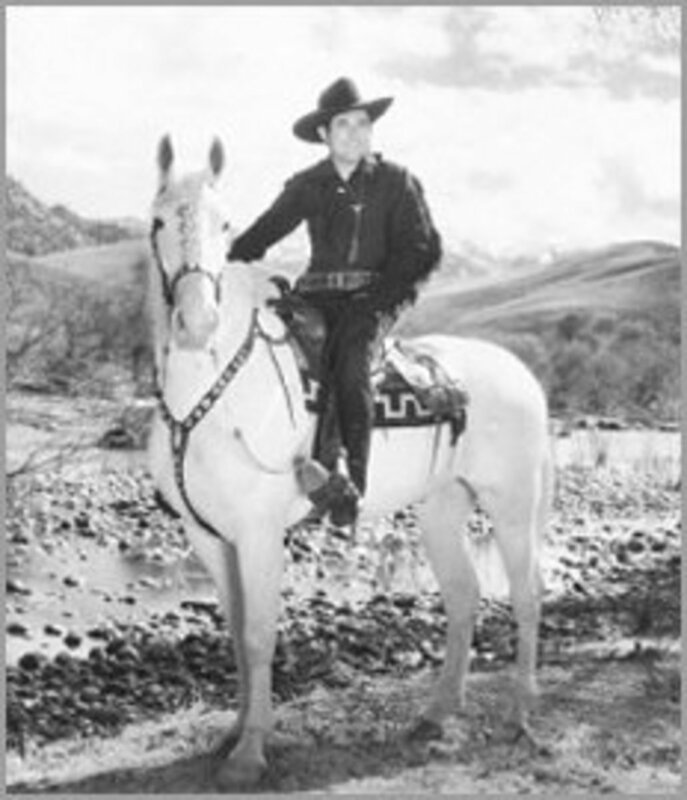 Was Dale Robertson's horse Jubilee a gelding? Jock Mahoney played the Range Rider, what was his horse's name? What color was Gene Autry's first horse? Dark Sorrel with T-shaped white face. What was James West's horse's name? Jim Bannon and Allan Lane played Red RYDER, not Rider on tv. SERIAL Barry DID NOT play RR on TV. WHEN I FIRST SAW THE RED RYDER SERIAL, I DID NOT LIKE BARRY AS THE RDER - HE WAS TOO SHORT. Sorry, I don't have an answer for this one. Maybe someone out there can help? 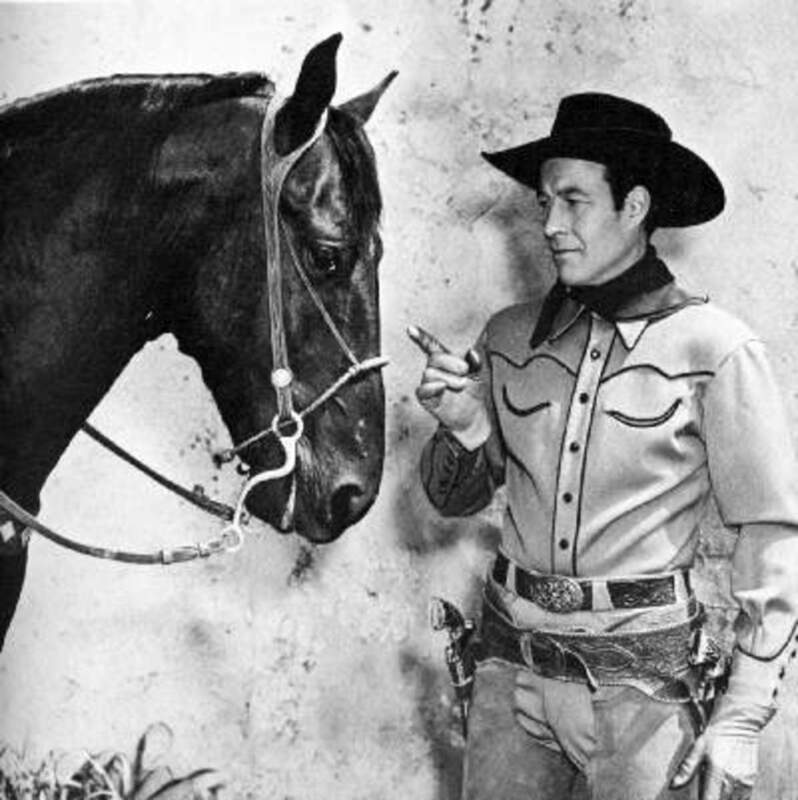 The horse’s name was “California “ was from a western tv series. I think the co-cast character’s name was Costner the owner of the horse, he he had a large mustard, funny guy... the series was something like F/troop. Thank you. Sorry, Becky. There was a California Chrome who won the Kentucky Derby, but not familiar with a jockey named Costner. Was their ever a horse called “California “ and the riders name was Costner? Stardust, Susan. Thanks for stopping by. How could anyone forget the dark palomino Randolph Scott almost always rode. Does anybody know his name? 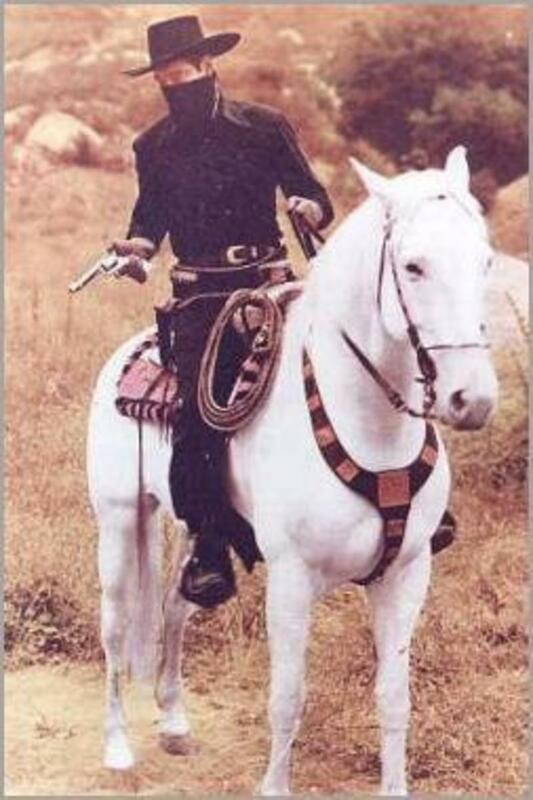 Mexican President Maximillion rode a white horse in the John Wayne film, The Alamo. Trying to remember a movie with Maxmilion and a white horse in it. maybe 60's movie? Movie with MaxMilion and a white horse is all I can remember, trying to remember this movie maybe from 60's? DW, Phoebe Ann Mosey, alias Annie Oakley, was not a Western Star of B Films. She worked for Buffalo Bill in a live western show on various horses. There are no references to her various horses that she rode in the arenas. You do not have Tonto's horse Scout or what horse Annie Oakleys rode. Do you know? You are so right. Thanks for the heads up! You forgot Tontos horse scout. Dawn...you might have a treasure there in your hands. Take it to an expert pawn shop to get a value. They may have on call someone that is in the business of authentic photos. I was going through some of my mother's old family photos and found a small old trunk that belonged to my grandfather. He carried it during WWll, among the love letters form my grandmother I found a lot of pictures. One of these pictures is a black and white photo of a cowboy on what appears to be a solid black horse. The horse has a beautiful saddle and head gear. On the back of the photo in my grandmother's handwriting is Lash Larue 1948 -1955, for his acting career I'm assuming. This is not a publicity photo it was in an envelope with a bunch of other b/w that they got developed. 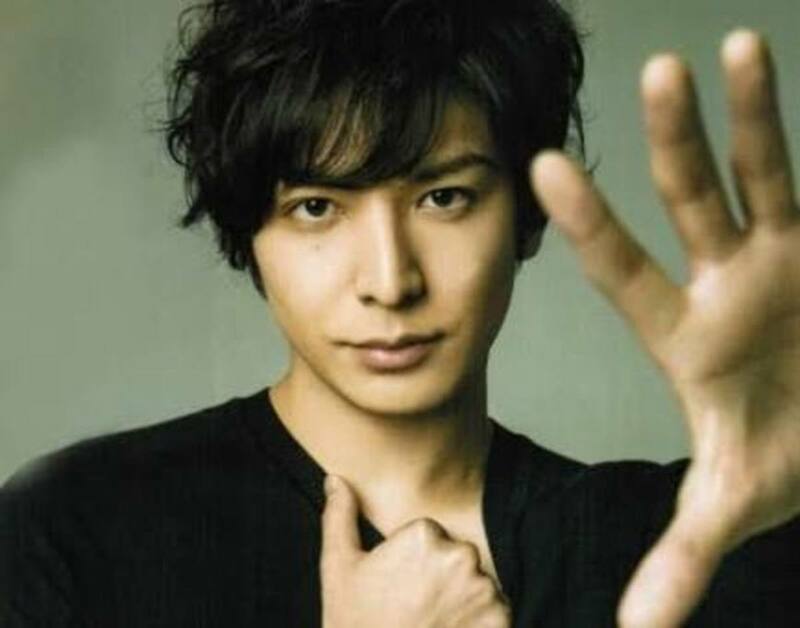 I send you a photo shot of it to confirm that it's him. Thanks, Con. Been busy writing novels. The Lone Ranger had two white horses. The first silver was large, slow, and gentle. The second horse was smaller, faster, but harder to ride. It had a mole on his face. That is how I realized there were two. So I emailed the Lone Ranger Website and was informed I was right. John Shultz, thank you for your comment. However, this Hub is about the stars of the B Western films. Randolph Scott and others mentioned above were A film actors. I agree with some of the people referring to Scott and Duke and Newman, etc.. They left out my favorite Western actor as did I....Joel McCrea who made films with Randolph Scott. But, like I said, those were A films and A actors. If Joel McCrea only made westerns that showed up at the Saturday morning theaters along with serials and yo-yo contests then he would have been the first one I mention. WHERE is Randolph Scott's "main" horse?? what about the Zorro ?? in watching tales of wells fargo, i've noticed Dale riding three different horses with a blaze face. Which one was Jubilee? I do know that in the movie "the Shootist" John Wayne refers to his horse as "Ol' Dollar "
But the riding horse style in western movies was not as modern western riding,true?,Could you give me some of information about it? Well I can no longer find a place to reply at the bottom underneath last comment so will put it here. Question was about a horse named, 'Cyclone'. Don "Red" Barry rode Cyclone when he was the very first Red Ryder on tv. Thank you for your question. Wasn't White Cloud the horse used by on of the Indian chiefs? Also who can forget Tonto's Scout? 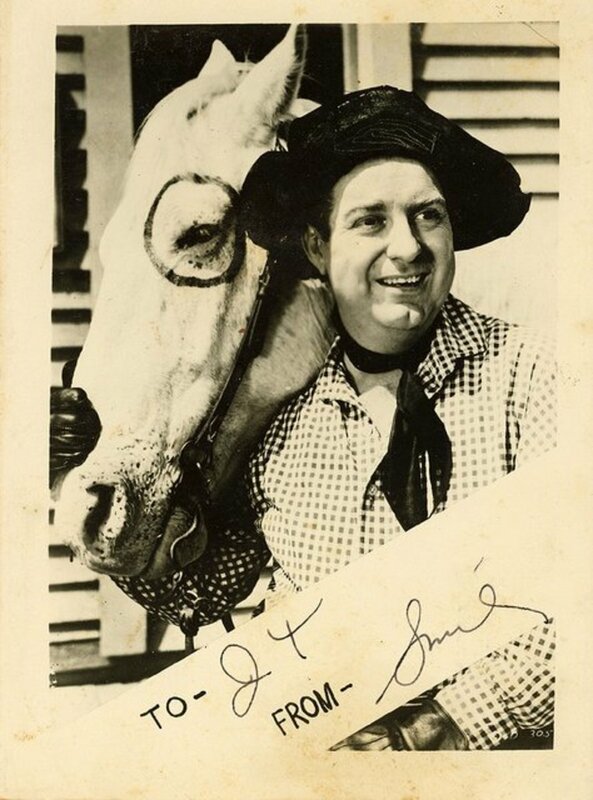 Allen “Rocky” Lane (Voice of Mr. Ed [ Bamboo Harvester was registered name and was a 4-time winner of the Patsy Award aka: Animal Oscar] Was fed peanut butter to make his mouth move. 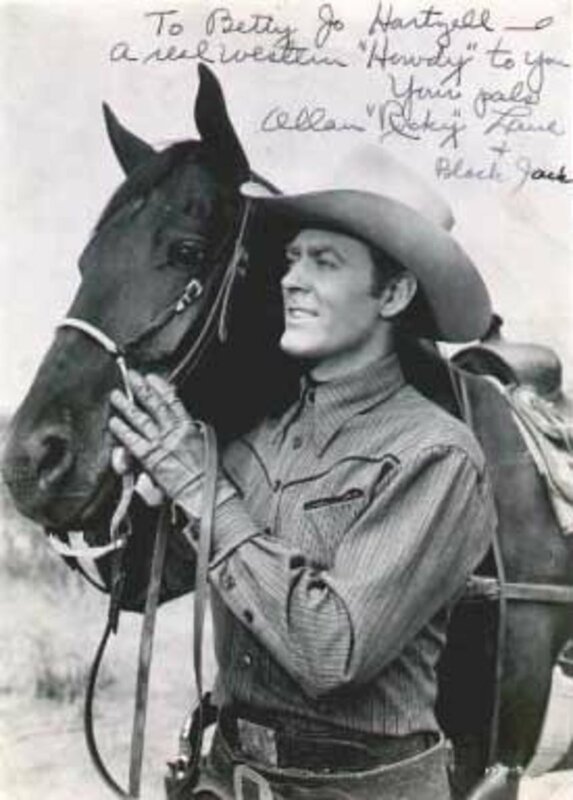 Double was Pumpkin) : Black Jack was originally called Thunder and ridden by Wild Bill Elliott (as Red Ryder). Mesquite, Feather and Banner. Andy “Jingles” Devine: Joker had a deep swayback. Ben Johnson: Bear. Country Gentleman (had a white face). Bingo (galloping stunt double), Steel, both in Wagon Master. Steel also ridden by John Wayne (Tall in the Saddle and The Conqueror), Gregory Peck (Yellow Sky) and Randolph Scott (The Tall T). Ben Johnson also on Steel winning World Champion Calf Roping Title at Pendleton, OR in 1949 in 12.5 sec. Ben Johnson as Sgt. Tyree in She Wore a Yellow Ribbon: Laddie played by Country Gentleman who also played Smoky in The Wild Stallion. Black Beauty Movies: Highland Dale 1946, later named Fury for the TV series. Was also in Giant, Wild is the wind, Bonanza, Lassie, My Friend Flicka and Rin Tin Tin. Docs Keepin Time, a Quarter Horse played Black Beauty in the 1994 version and also played a rearing horse in the Busch Beer commercials, in a rock video and was the star of the television series, “The Black Stallion”, “Gulliver” in the film, The Horse Whisperer. Buffalo Bill (William F. Cody): Isham was white horse ridden in the wild west shows. Charlie was his hunting horse who was buried in the Atlantic on the way back from Europe. Cammie King in “Gone With the Wind” on pony: Mister Butler or Blackie?? 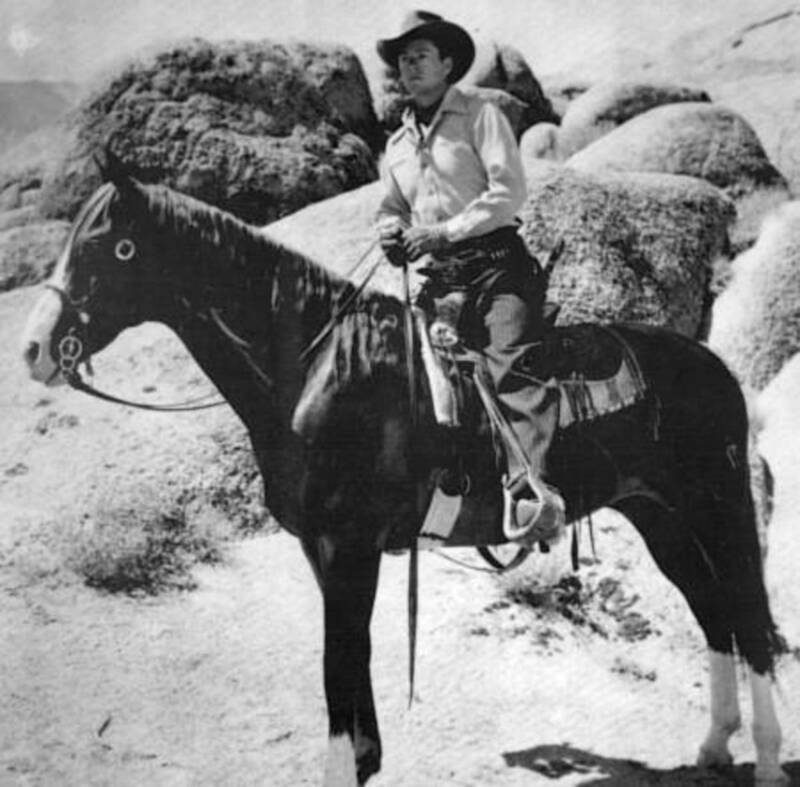 Charles Starrett as the Durango Kid: White Horse was Raider (Backup horse was El Granito). (Brown horse) Bullet. Charlton Heston: Domino. As El Cid: Doit played Babieca. As Ben Hur: Altair, Rigel, Antares and Aldebaran. Errol Flynn in Charge of the Light Brigade: Onyx. Twenty five horses were killed during the charge due to the trip wires. Flynn was outraged and notified the papers, but nothing was done. Gene Autry: Champion, Champion Jr.and Little Champion (Gene has FIVE stars on Hollywood Walk of Fame) Champion’s hoof prints in front of Grauman’s Chinese Theater. 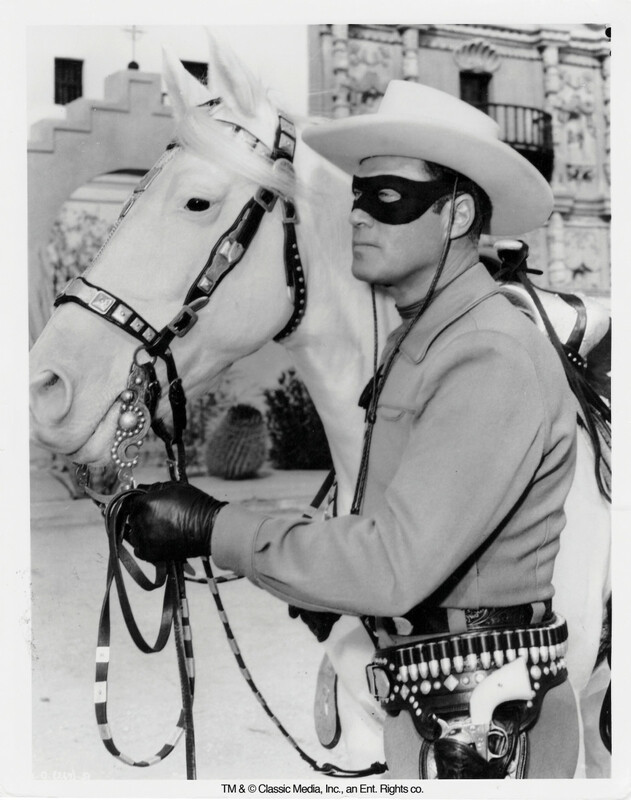 Guy Williams as TV Zorro: Tornado (black horse). Phantom (white horse, real name Dynamite). Daisey the mule was also a regular on the show. James Garner as Bret Maverick: El Loaner. “Maverick” (1994 movie) had a horse named Ollie and a burro named Arthur. Jay Silverheels (Mohawk Indian) as Tonto in the “Lone Ranger”: Scout, White Feller and Paint. Scout could outrun Silver. I personally read a quote from Randolph Scott where he said that Stardust was his favorite horse. It was not second hand info. I read it myself. Sorry I don't remember when and where the article was. was there a horse with guns on there bridel ? aclakshmana3 years ago asked about a movie about a champion jumping horse called "Little Thief." Walt Disney produced a movie (filmed in Mexico with a mostly Mexican cast) called "The Littlest Outlaw" (1955). Pablito, a stable boy, steals "Conquistador," a jumping horse who is going to be killed because his owner's daughter fell while riding him. (The fall happened because the horse was abused by the trainer, Pablito's evil uncle). Pablito and the horse are helped by many people including a village priest. Eventually, in a dramatic scene where Pablito saves the horse by jumping him out of a bull ring, the truth is revealed. The owner and hisdaughter give Conquistador to Pablito. Grew up with westerns, still love them to this day. Loved all the horses some were great characters. My favourite being the Lone Ranger's horse Silver. Thanks discovery2020. "Hey Jimmy, in Randolph's own words Stardust was his favorite horse" Where can I find that verification? Hey Jimmy, in Randolph's own words Stardust was his favorite horse. Lynda, after extensive research it appears that the horse's name was the same as the title. I would assume they named him that in respect to his dynamic role in the film. No word on the trainer but would not be surprised if it were Audi since he would always use his own horses in his films. He mostly used Joe Queen. Audie Murphy's horse in Tumbleweed was so much fun. I recently saw the movie again and was reminded what a good job that little horse did to make the movie work. Any information on him or who was the trainer? I beg your pardon Robert........Tornado actually was in the Mark of Zorro. Sorry I left him out. Great looking horse! This is a Hub about horses that belonged to FILM stars. You are referring to a tv series. Thanks for your interest. Why does nobody mention zoro and toronado? That is Andy, Mike. I was saying in the above article that I never saw him on a horse in any of his FILMS which this article is about. The photo you are referring to is not from a film, but rather from a tv series, Adventures of Wild Bill Hickok. Thanks for the heads up however and thanks for reading my articles. The 4th picture from the end is Andy if not he sure looks like him? Remember him and the jeep well. Thanks for the memory! Loved this article on cowboy and sidekick horse's names so I thought i'd through in a teaser. 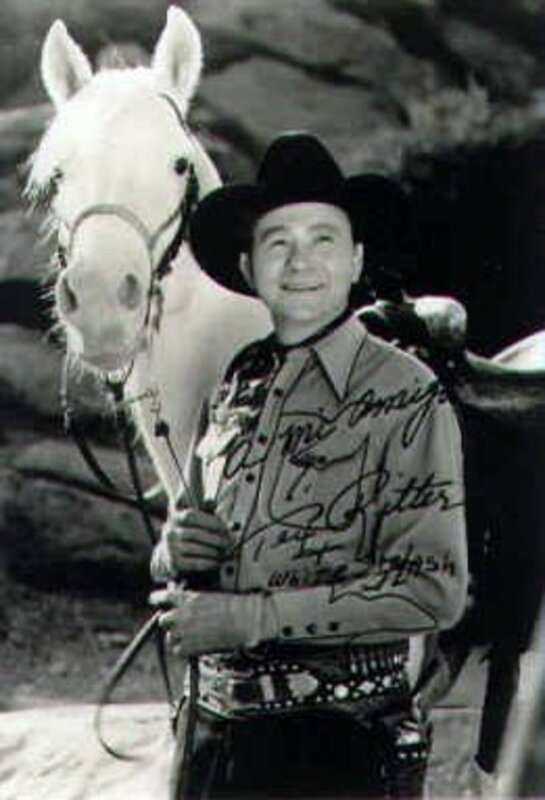 Roy Rogers had a sidekick on tv named Pat Brady. Does anyone remember what he rode? It was a Jeep and was named Nelly Belle. How's that for trivia? Hi BlackWolf.........the horse was an Andelusian which is a pure Spanish horse. Don't have a name for you. This is for a different era. What about the horse Clint Eastwood rode in Pale Rider? Can only find pictures but nothing about he name or breed. Wow! that is great trivia! Appreciate so much letting me know after all this time. Thanks, Leigh, but I don't get the connection between Silver and Vivien Leigh. Enlighten me. 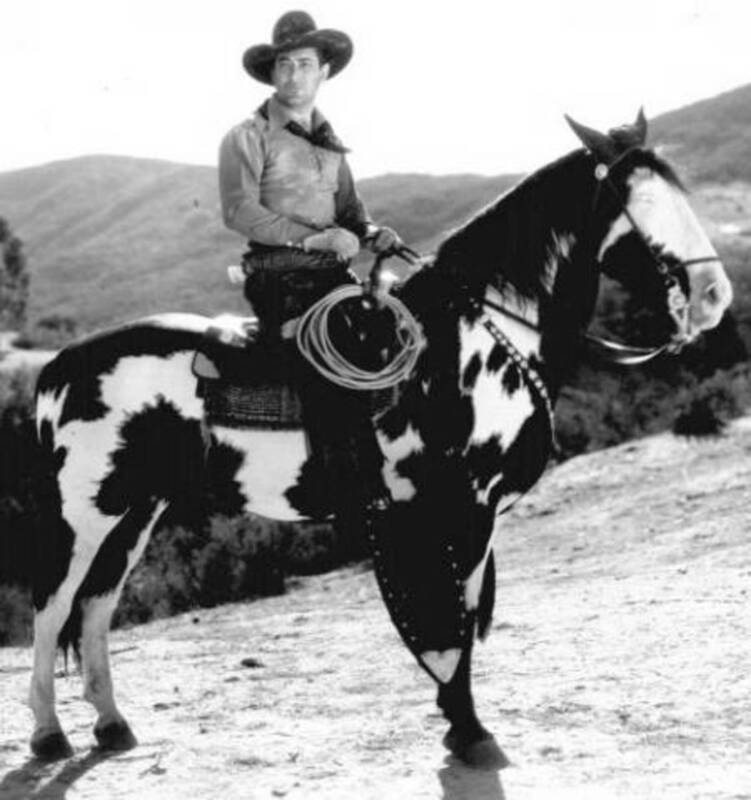 Lone Rangers "Silver" was originally seen in the movie "Gone with the Wind" he was Scarlet O'Hara's, father's horse." I provided that for you so you could see why she commented, and while the horse wasn't ridden by Vivien Leigh herself, well I can see where the correlation was made. This was so much fun to read thank you for your time and effort in putting it up for us to enjoy. Yes, Ann..........Diablo was played by three different paint horses. One was for close up shots, another for stunt work and a third simply as a backup. 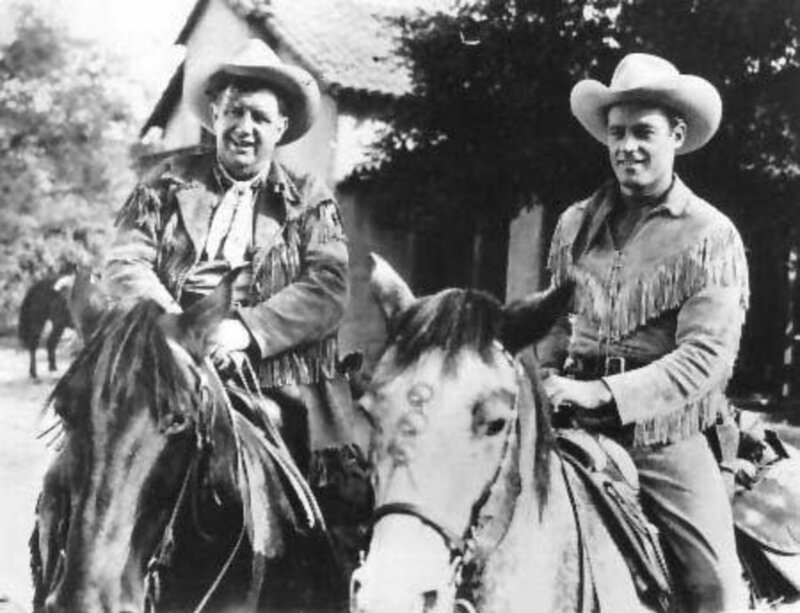 I remember seeing Andy Devine as Hopalong Cassidy's sidekick in some of the earlier TV series and there were plenty of riding scenes. The COZI channel started running the series and movies last year so I've been able to catch up on a lot that I missed in my earlier years. 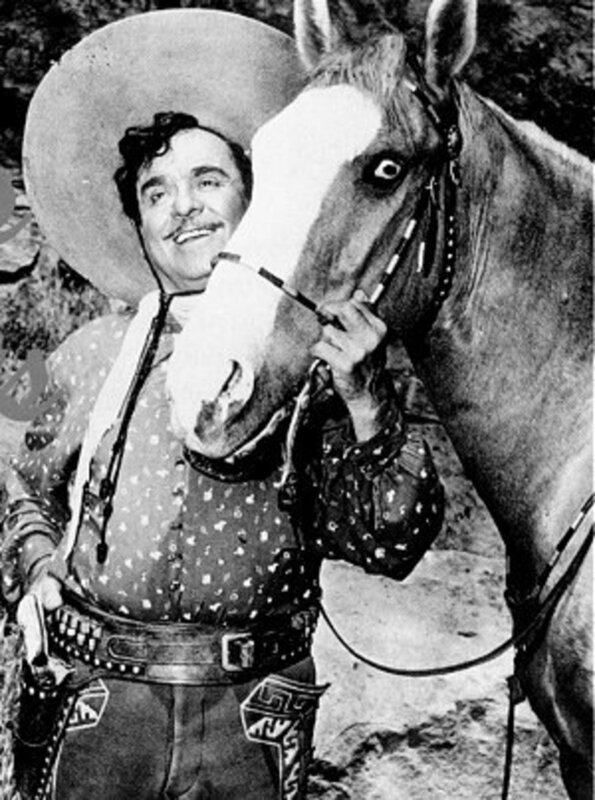 The one that I would like to know about is the Cisco Kid series - Pancho rode Loco but Cisco's paint horses kept changing from scene to scene within each episode. I definitely saw three different ones but it might have been four as there were slight differences in the markings from one to the other. One of them even resembled a horse ridden by Chuck Connors in his Branded series but not 100% sure because of the wide time gap. Thanks for viewing and for the info provided. Michele, I just ran across this accidentally. So sorry it took me 17 months to respond. If you still don't know, Randolph Scott's horse was Stardust. His horse died at 29 years of age in '73. That is a great story! I just wish I had the answer, but I would assume like you do that he removed them to stay in character. I had a good friend who hitch-hiked to California in 1941. He took a landscaper helpers job and one day while working in the yard of a large residence, the owner exited the house and made small talk with the crew. 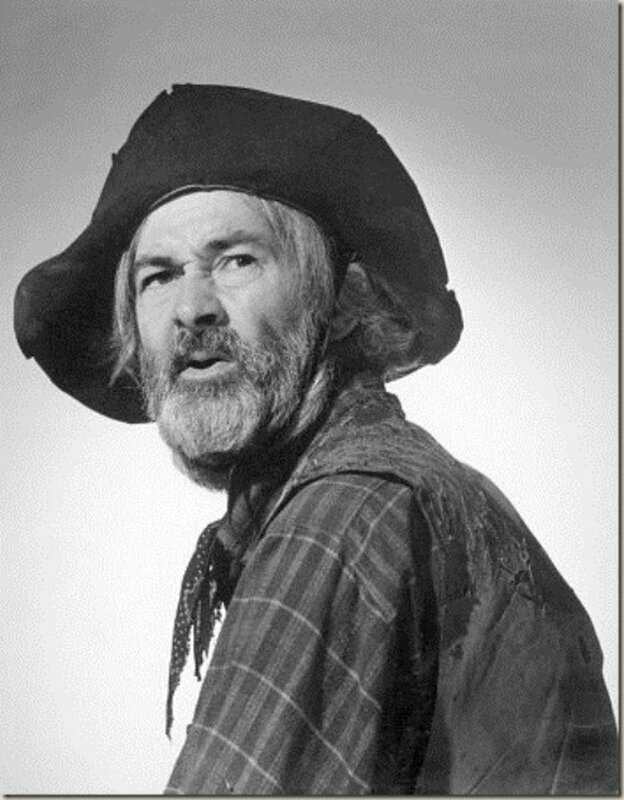 MY friend didn't recognize the homeowner until one of his crew mates told him that it was Gabby Hayes. My friend said he didn't recognize him right off because the owner had teeth and he always thought that Gabby acted without teeth. I have always wondered if Gabby purposely removed his dentures in order to give more personality to the character he was portraying or whether his acting ust didn't show his teeth. Sgt. Preston's horse, Rex was Richard Simmons's (actor portraying Sgt. Preston)personal horse. 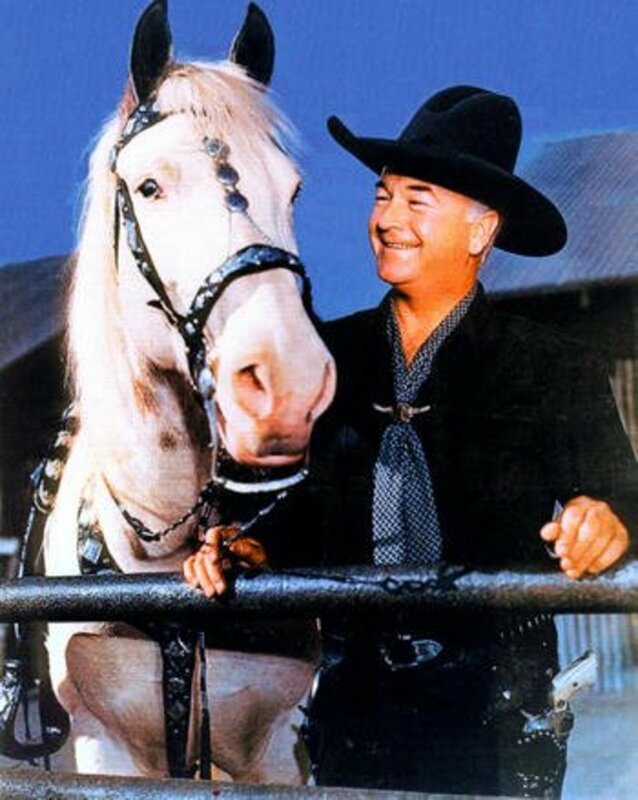 I would love to know more about the TV horses such as Fury and Flicka, Sgt. Preston's horse, the only survivor of the Battle of the Little Big Horn, Comanche, also the white horse in the movie Snowfire. and of course the Black Stallion. Basically anything horses. I saw a Disney movie once called "The Calypso Pony" and another called "Chester: the story of a horse, " about a horse that was trained to pull in order to win a contest against a tractor. Would love to have these two movies in my collection, but can't find out anything about them. Of TV stars! Great work!Thanks! Maybe I will do a Hub on horses of tv stars in the future. Thanks for sharing. I just loved that horse!! I have to add Joel McCrea to your list. Growing up in the fifties westerns were my first choice. My favourite cowboys were John Wayne, Gary Cooper, Jimmy Stewart & Randolph Scott. As their horses go Scott's horse stood out the most! And I agree that the other actors really weren't know for their horses. But I realised then and confirmed it later that Wayne always rode a very tall horse! Great hub! Thanks for your comment, Elaine, but the title is "Horses of Famous Western Movie Stars". What about the kids show Fury? I loved that horse that was part of my Saturday morning line up. "Yes, but I loved them as a kid, Will." And so did I. In fact, I still do! You got it, Randy! It was Scout. The Lone Ranger would say, "Hi-yo Silver, away", and Tonto would respond with, "Get 'em up, Scout." The old westerns were not PC at all. Indians spoke with broken English. Didn't Tonto-- the Lone Ranger's Indian sidekick--have a horse named Scout? Or am I mistaken? I bet Will knows. 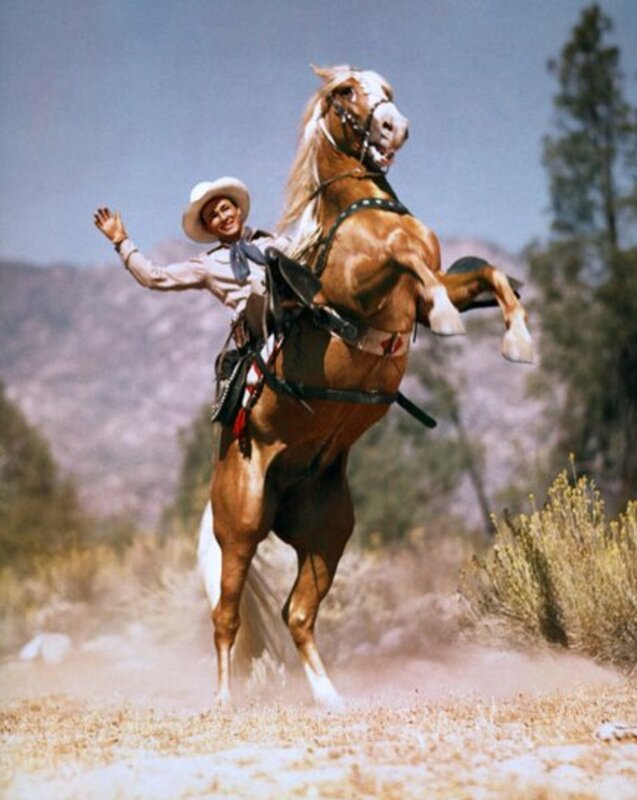 I have always liked the horse that Randolph Scott rode. So beautiful! I can't find out anything about him. Please help!? That is correct, Jen. Thanks for sharing. 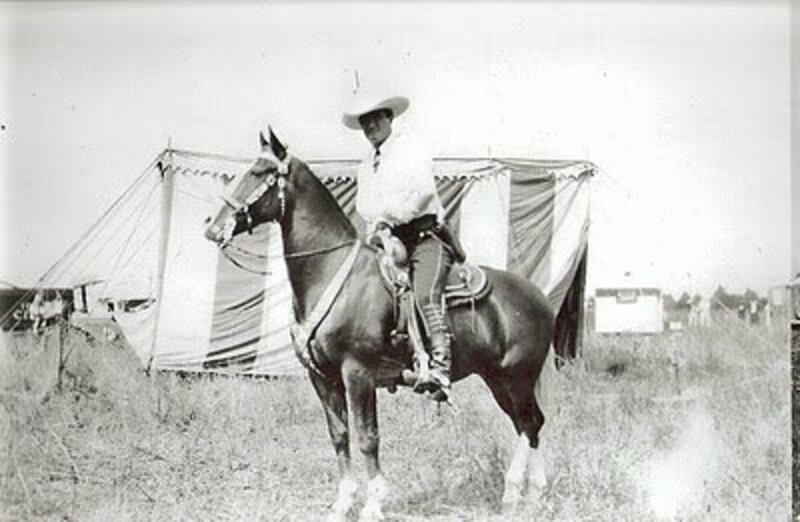 Lone Rangers "Silver" was originally seen in the movie "Gone with the Wind" he was Scarlet O'Hara's, father's horse. Great trivia, Michael! Thanks for sharing. This would be great for film trivia. Yes, I saw a photo of the stuffed Trigger on Roy's ranch many years ago. Loved this hub, an interesting fact about Roy Rodgers horse trigger, when he died he was stuffed and posed in his iconic rearing pose, I believe the TV station RFD has him displayed somewhere in Missouri. Thanks, Diana. I miss the good old days! Well, done. I love the classic westerns. Voted up. Well, thank you Will! Glad you enjoyed it. What a super Hub! I remember quite a few of those names, and enjoyed learning the rest. Thank you for the well wishes. Sorry, I do not know anything about Little Thief. Wish I could help. First I would like to wish you a speedy recovery. I am delighted to go through your writing on films based on horses.It is very interesting and takes us back to our younger days. Some of them are older than that.In 1961 I had seen a movie based on an army champion jumping horse "little thief". I t was a beautiful movie and I am not getting any news about this movie. Can you or any one of you throw some light on this most touching movie I have ever seen. You lost me there, Melanie. Wish I knew. Thanks to Silverviolet for your comments. I probably should have named this "Horses of Famous Western B-Film Stars and their Sidekicks. That was my intention. The super stars like Wayne and Newman generally were not know for their sidekicks and horses. However, super stars and tv stars and their horses could be another Hub. Thank you, BabyPalomino for your comments as well. I love old movies about horses wonderful ..
Would like collects movies .. I'm deaf woman live in Green Bay, va.
You have mentioned some that I have wondered about for years, and there are many more that aren't mentioned, like the horses ridden by John Wayne, Jimmy Stewart, Henry Fonda, Paul Newman and Robert Redford.......plus the many differet television series with some awesome horses used.... I guess most folks didn't think much would be made over "just" another horse, but some of them were really some very fantastic animals and finding out their histories is very informative and fun to learn. Thanks so much for these and the effort to obtain same!!! !